Enjoy a bowl of this healthy lentil soup with red lentils, sweet potatoes, apples and quinoa seeds! 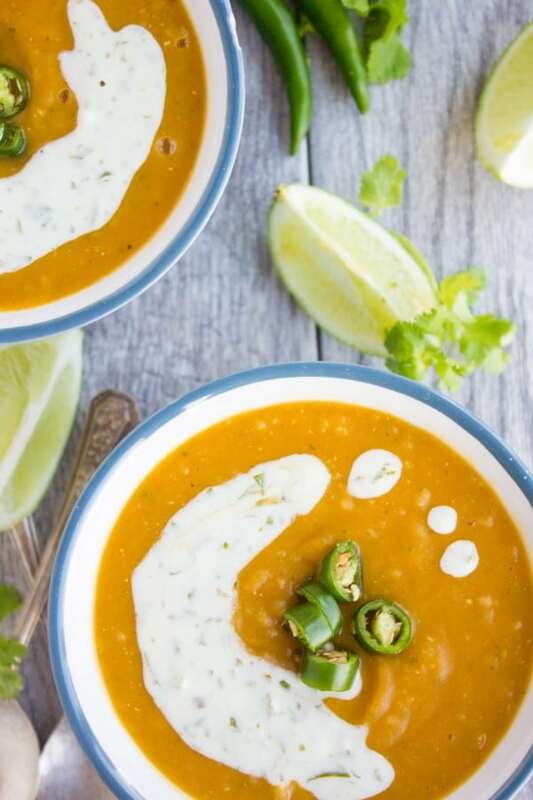 Drizzle this filling fall-inspired soup with my refreshing and tangy cilantro & lime cream to take your soup game to the next level! 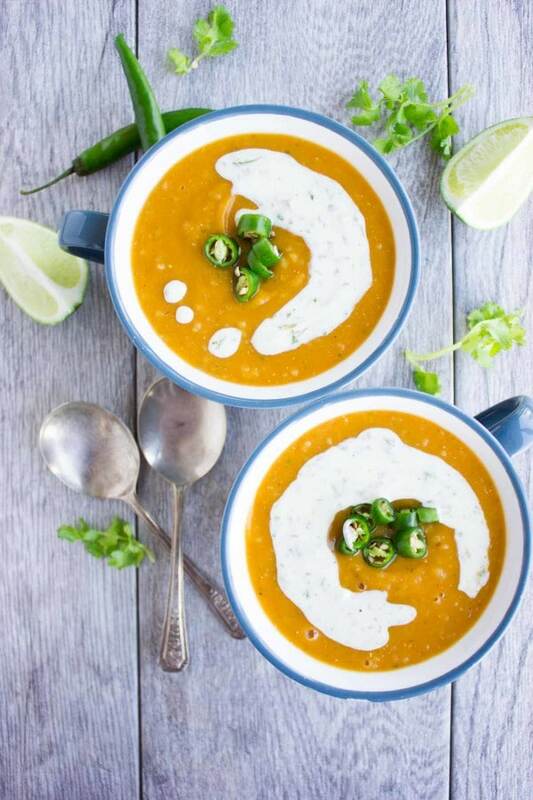 This healthy Lentil Soup with Quinoa and Sweet Potatoes is a heartwarming fall-inspired soup, fuelling and comforting with a burst of freshness from a cilantro and lime sour cream drizzle. 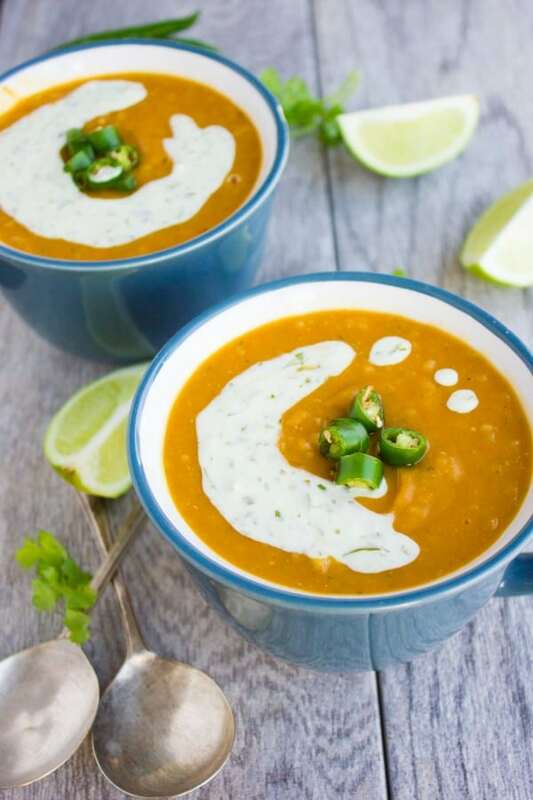 Flavored with smoky cumin and cilantro, sweetened with sweet potato and fresh apples, then spiked up with sour cream drizzle, this easy healthy lentil soup is like a Mexican take on a creamy fall soup! This healthy lentil soup is as easy as a one-pot meal and very straightforward made from simple fresh ingredients! And the best thing? 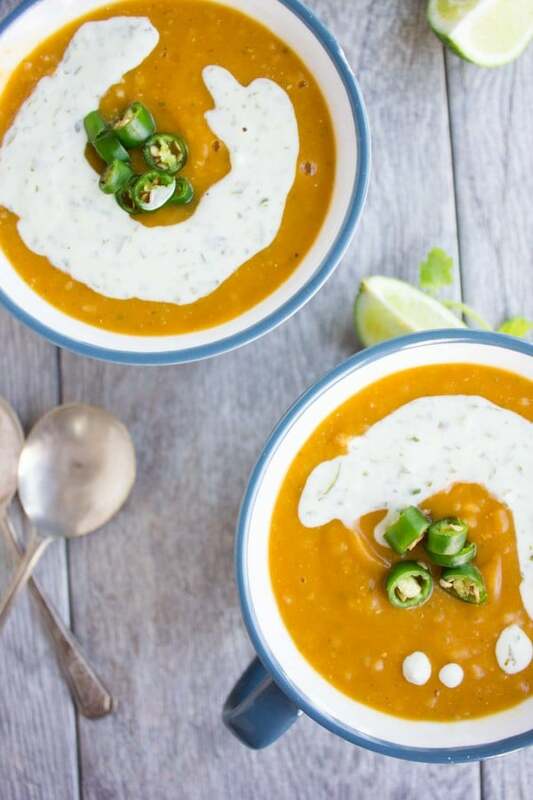 This creamy fall-inspired soup can be ready in 20 mins! I mean, how could you resist? I love the sweetness of sweet potatoes combined with the red lentils. As un-classical as this combo sounds, the sweetness of the potatoes and the creamy nutty taste of red lentil are a match made in heaven! By adding quinoa, we incorporate more nutty flavours along with an extra portion of protein into this filling, healthy red lentil soup. One last ingredient I always add to this healthy lentil soup, is an apple or a pear. Ok so this ingredient isn’t necessarily to make my soup an apple tasting or pear tasting soup, but the sweetness and texture of either one, when added to any pureed type soup, is u-n-b-e-a-t-a-b-l-e! Preheat a pot over medium-high heat with the olive oil and fry the onions and sweet bell peppers with some salt until the veggies are tender and slightly caramelized. Add in the garlic and cilantro and saute on medium-high heat for a minute more, before seasoning with the cumin and oregano. Toss in the sweet potatoes, apples, lentils, quinoa, stock and toss everything together. Cover the pot and bring the mixture to a boil. Then lower the heat to medium-low and let the soup cook for about 20 mins until the sweet potatoes are tender, lentils and quinoa are cooked. Now I have to mention the sour cream lime drizzle for a minute. 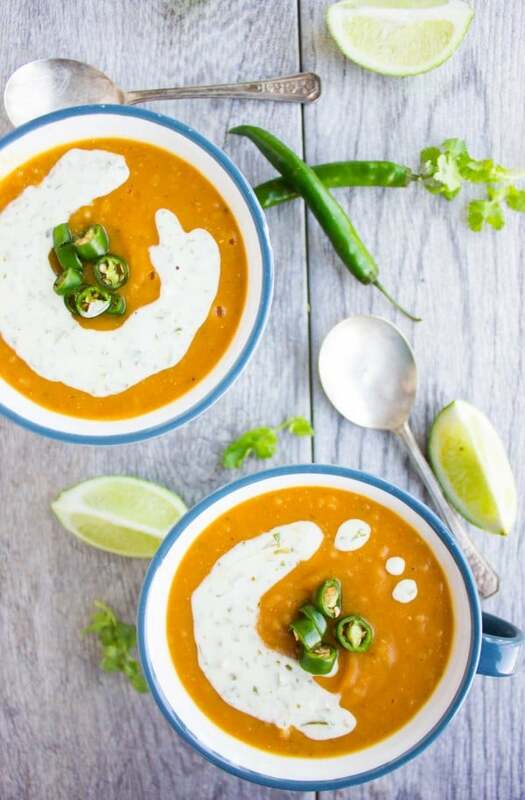 Because really it’s like a breath of fresh air, so refreshing and vibrant that it makes this comforting healthy lentil soup burst with zest in your mouth! It’s simply sour cream, plenty of lime juice, plenty of minced cilantro, a pinch of salt and all warmed up in the microwave for a few seconds. The microwave also thins it out to a nice pourable consistency. 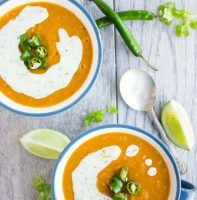 For a vegan lentil soup, skip the sour cream and use a drizzle of lime juice and chopped cilantro stirred into a dollop of coconut cream. Replace the apple with a pear, or, if need be, with a tsp of maple syrup or honey! Puree the red lentil soup until smooth or leave it slightly chunky! It’s up to you. Do you remember this cauliflower hazelnut pear soup or this Mediterranean pear cinnamon squash soup? If you haven’t made those yet, HELLO it’s the perfect season to make them now! 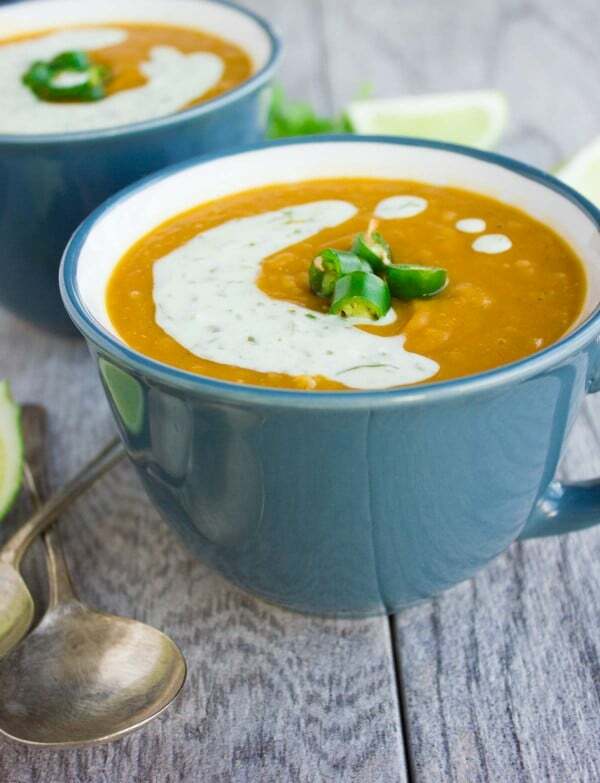 Enjoy a bowl of this healthy lentil soup with red lentils, sweet potatoes, apples and quinoa seeds! 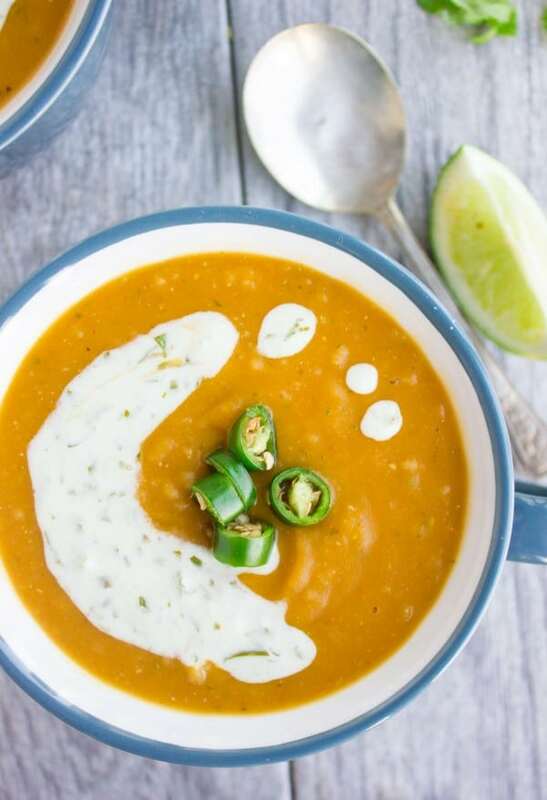 Drizzle this filling fall-inspired soup with my refreshing and tangy cilantro & lime cream to your soup game to the next level! Preheat a pot over medium-high heat with the olive oil. Add in the onions and sweet bell peppers, season with salt and sauté for medium-high mins until the veggies are tender and slightly caramelized. Add in the garlic and cilantro and medium-high for a minute more, add in the cumin and oregano and saute for a few seconds. Then add in the sweet potatoes, apples, lentils, quinoa, stock and toss everything together. Cover the pot and bring the mixture to a boil. Then lower the heat to medium-low and let the soup cook for about 20 mins until the sweet potatoes are tender, lentils and quinoa are cooked. Use an immersion blender to puree the soup or serve it chunky if desired. To make the sour cream drizzle--mix all ingredients medium-high in a bowl and microwave it for 30 seconds until the drizzle is warm and the consistency is pourable. Drizzle about a tablespoon of sour cream drizzle on top of each bowl of soup and serve. Puree the red lentil soup until smooth or leave it slightly chunky! It's up to you. 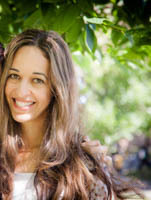 Karyl, you’ll really love quinoa in soups! Wow, that is such a hearty and healthy soup. Love that you added quinoa right into the soup – adds protein and substance. Yumm!! what a healthy combination of flavors in one soup I think everyone would love this in our family. I can not get enough soup this season! I love sweet potatoes and quinoa but never had them in a soup together before – delicious! I love lentils and I love that you added quinoa to the lentil soup. Sounds so yum. Perfect one bowl meal for us really. A side salad and I’m in heaven. We eat lots of quinoa and we love lentils — I haven’t thought of combining, though. I think the combination of the sweet potatoes and the final addition of an apple or pear is interesting. I would love to taste it especially with the addition of the heat in the peppers. This is really the best combo! That sour cream drizzle is EVERYTHING!! I love the added fiber from the quinoa. What a great one bowl dinner! What a wonderfully hearty and comforting dish! I wish I had a bowl of this for lunch…it’s a perfect day for creamy lentil soup!